The Dale and Alla Team are AMAZING!!! The Dale and Alla Team are AMAZING!!! I had such a pleasant experience and very smooth sale of my condo. Top-notch professionals, they know what they are doing extremely well. If they suggest you to paint the bedroom – do it! Don’t think about it, because at the end it will pay off 100%. You can’t Google the experience they have and the logic they use — mapping out the entire process from paperwork to selecting the color of the paint. Dale and Alla marketed the condo so well that we had multiple offers after the first open house and they did an excellent job in getting the best offer! Will absolutely work with the Dale + Alla Team again! Top-notch professionals that know their craft well. Top-notch professionals that know their craft well. Dale + Alla team helped us sell our Mission condo for the “best case scenario” we hoped for. Sold in 2 weeks, over-asking with multiple offers. They hustled hard to get us there and we had the highest confidence in the team along the way. Next time we’re in the real-estate market we will be reaching out to the Dale + Alla Team again. The pictures, the copy writing, the presentation of the pictures, the views…EVERYTHING LOOKS POSITIVELY GORGEOUS, THANK YOU SO SO SO MUCH! You two are top-notch from every angle, though we already knew that. 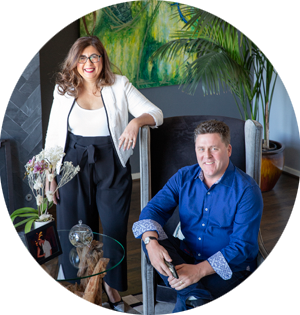 It is with immense pleasure that I recommend Diana Klein and the Dale + Alla Real Estate Group to anyone searching for a home in San Francisco. Diana’s creativity, persistence and exceptional knowledge of the SF market – including her access to off-market networks – would be of value to any buyer and was particularly important given my unique situation. She spent a great deal of time working with me to define (and refine) my needs and goals. Ultimately, I think she knew what I wanted better than I could even articulate. And she never wasted my time with homes that were outside my price range or not in line with my needs. Diana is highly personable and engaging. Her energy, responsiveness and proactive approach always made me feel like I was her only client. Buying a home in San Francisco is beyond stressful. Diana provided the support and confidence I needed. For all these reasons I would unconditionally recommend her as a true partner in the buying process. What an amazing team. I felt like they really cared about me the person. My sale was emotional and not something I really wanted to do. But with coaching from these guys and their Input and perspective I ended up doing the right thing. I never felt any pressure from them when my head was all over the place they listened and supported my temporary insanity. Then reeled me back in when I needed it. These guys are truly amazing and turned what was a messed up situation into a win win for me. I can’t thank them enough and would not hesitate to recommend them to anybody looking to buy or sell a home. If you want smart, organized, experienced and compassionate SF real estate agents, look no further. From start to finish, Alla and Dale are the total package. They understand the SF real estate market from every angle, offering wise advice that literally pays off (listen to them!). Alla and Dale are incredible organizers–they took care of EVERY behind-the-scenes detail from coordinating contractors to preparing marketing. They are incredibly warm and classy sales people which sets the stage for multiple offers. AND, Alla and Dale understand emotions involved with buying and selling a home. They not only responded to our fears as sellers with calm understanding, they drew upon their people skills with buyers during negotiations, all the while maintaining the utmost integrity across the board. Alla and Dale are magnificent agents and people who earned our highest recommendation, and future business, forever. Thank you! I have worked with Alla now twice in four years, both on the purchase and the sale of my condo in Russian Hill. Alla worked with me patiently for years before I purchased, carefully talking me through neighborhoods, types of buildings, value, etc. She was so easy to work with throughout all aspects of the process. She is such a strong advocate for her clients, and I had complete trust in her throughout both sales. Most importantly, she kept me calm and focused, even when there were small bumps along the way. In addition to the real estate side, she was always available with suggestions for any type of home service I might need. Aside from Alla, I also have had amazing experiences with the rest of her team who make everything happen seamlessly. I would recommend both Dale and Alla without any hesitation, and I consider them both friends. I look forward to working with the team again! Dale was recommended to me by my long-time real estate agent who had moved out of state. I had a great experience with him as my new agent (and Alla helped, too.) In 2013 I needed to sell a single family house in Ingleside Terrace that I had owned for many years, which had always been tenant occupied. So although the market for sellers in SF was “hot,” as per mostly usual, there were issues: the physical condition of the property; the need to be respectful of my tenants and their kids until they could relocate, and the need to close the sale by year’s end to meet my tax requirements. Dale (and his crew) pulled it off brilliantly, finding buyers (over asking price) willing to be flexible regarding the tenant situation, closing on time and with no last minute surprises or complications that can keep even the calmest seller awake at night. It was really a win-win-win, for me, my tenants, and the buyers, thanks to Dale’s knowledge and ability to work with all kinds of people and situations. I’ve known Alla for a while now, and she does a fantastic job with her business. She and Dale do a great job of prepping homes in order to sell for top dollar and are intimately knowledgeable about the many micro markets in SF. Very professional and responsive and that’s probably why they are tops in the city. I cannot recommend Dale Boutiette highly enough. He is truly an expert at buying and selling San Francisco real estate. He will figure out exactly what your needs are and knows all the ins and outs of getting the most value for your home if you’re selling and making the right and most knowledgeable choices when you’re buying. My wife and I used him to sell our home and buy a new one in San Francisco last year and we could not be happier. Do not hesitate to sign up with Dale — he is OUTSTANDING in every way. Alla worked hard to find a home that met the needs of our family. It is clear that she understands the San Francisco real estate market and what it takes to make competitive offers. She helped us structure an offer that beat out the competition (there were 10 offers total), but at the same time protected our interests. Alla advocated for us at every step of the transaction and made the entire experience stress-free. Thanks so much for your invaluable help in selling our condo. Given our experience in working with you as our lawyer years ago, we knew you’d be our first choice as an agent selling our home. You were so patient with us throughout the process, educating us on the market and giving us great advice on what needed to be done to bring the condo into the 21st century! “Alla is an absolute pleasure to work with. From start to finish, she made herself completely available and conducted herself with the utmost of professionalism and courtesy. Her exuberance and enthusiasm was contagious, and working with her actually made what is seemingly a very stressful process truly enjoyable and exciting. Thank you for helping us find our dream home and sell our old house in record time for top dollar. As we were preparing our offer, you helped us pin down the right price and terms so that we were able to beat out 4 competing bids, but not break the bank. And thank you so much for all your advice in helping us sell our property. “Wow! You definitely know what it takes to sell for top dollar. Thank you for all your hard work in selling my condo in such a short time for a great price. And thanks for taking care of all the details behind the scenes including working with the stagers to amazingly transform my home for the sale. Thank you so much for all the hard work, good advice, patience and support that you and Dale gave us during this entire process of buying a new house and selling our old house. The entire experience from start to finish working with both of you was great. And, the best part was getting to know both of you better and becoming friends! We feel really blessed. We are looking forward to celebrating together when we get back! I just wanted to thank you for all of your hard work on making this transaction happen. You did an amazing job working with the seller and your handy man, over and beyond. Thank you for being so kind throughout. We LOVED working with you both. It was terrific from start to finish. It never felt like buying and selling. More like friends getting together to figure stuff out. We never felt like things were falling apart or at risk. It always felt managed and moving forward. Terrific experience. It’s almost worth buying and selling every year. I want to thank you for being my realtor. You’ve always been honest, responsive and professional. I’m grateful for all of your help. Alla Gershberg sold my house after only ten days on the market, and I cannot say enough positive things about her. Since I was selling the house I grew up in, it was an emotional process for me, and Alla was a wonderful ally through it all. She answered all my questions promptly, she was sensitive to my feelings, and she gave me thoughtful and well-researched business advice. So many houses sit on the market because they have not been priced or marketed well. Alla helped me pick a price that was right on target and then worked closely with the stagers to make the house look terrific and to create beautiful promotional materials. I give Alla an A+ on her work for me – she really knows how to build a buzz and attract buyers! Dale was a joy to work with. He guided me through the sale process from beginning to end and always answered my questions promptly and professionally. His advice was spot-on and I followed all of his suggestions with great results! If I buy property in the city again, he will be the only realtor on my list! Thanks for all your support and patience in the purchase of the condo. We thoroughly enjoyed working with you. We especially appreciated your professionalism in the process, including your always prompt responsiveness to our concerns. Danielle obtained the keys to the condo late yesterday afternoon and seems to be quite pleased with the condo. Thank you again for all your assistance. I thought I had moved on since it was so long ago now that I lived there but seeing those amazing pictures brought forward lots of emotion… mostly happy ones but a little sad too… everyone keeps saying, aren’t you sad to sell and I have been fine until seeing this! It brought me to tears. It looks really amazing! Fantastic job by the photographer, stager, painter, handyman, floor guy, and ESPECIALLY YOU! We were lucky to have this great professional team guiding us through a home-buying process in today’s competitive market. Alla and Dale would go above and beyond for their clients, and, of all the realtors we have worked in the past. Alla and Dale make the only team that I would recommend to my family and friends. Throughout this stressful process, we felt that our needs, preferences, priorities, short- and long-term goals have been placed ahead of anything else in this time-consuming and sometimes stressful process. They are amazing in their attention to detail and have always been by our side providing, and sometimes digging for, the data we needed to make informed decisions. Their communication style is very proactive- keeping us and all parties to the deal up to date about the progress of the sale, dynamics of the contract, documents exchanges and next steps. We felt like we were the only clients, although we knew that Alla and Dale closed on several deals while were working together. Alla and Dale are super-organized, effective and have been willing to stretch their working days to nights and weekends accommodating our busy schedules. I would have to confess that we were “difficult” clients, as we started our home-hunting journey without a clear picture of what we were looking for. Incredible patience, professional expertise, knowledge of a local market and neighborhood trends helped us to formulate our goals. Excellent negotiating skills and understanding of every aspect of complex financial transactions concluded the experience and won us the house we are so happy with! I worked with Alla Gershberg at Paragon Real Estate for the sale of my 3 bedroom condo in Pacific Heights. She handled everything to do with the preparation and sale of my home with the utmost of professionalism and skill. I have had a decent amount of experience with real estate agents, having been through 5 buy/sell transactions (plus my mom is in residential real estate in New York), and I can say with absolute confidence that Alla is the best of the best! Alla is completely trustworthy. Her actions are focused entirely around her client’s goals and the end result. Alla and Dale had a complete and detailed plan regarding every inch of space in my home and everything that needed to be done pre- sale. This was a huge part of getting maximum price in the end. Alla coordinated all aspects of home repairs, painting, staging, and appliance replacement (basically a mini-remodel). She had all the right contacts and resources to get stuff implemented efficiently and cost-effectively (eg the stager, the painter, the handyman, the cleaning crew, etc.). Her attention to detail is fantastic. It made all the difference when it came to buyers’ excitement about my home. As she said, something like…. “2 months of preparation and 1 week of selling, rather than 1 week of preparation and months and months of selling”! The first scenario was what we implemented and it maximized the sale price (and our confidence that we all did our best). There was nothing I could not ask Alla to do during the time we worked together. She coordinated and met with all the folks who prepared my home for sale… I was not living in San Francisco full time during the sale time so she was always the one “on the home front” making sure the work that needed to be done got implemented in a timely fashion… and with quality results. She or a member of her team even went over to do “gardening” and plant watering to make sure that my outside spaces showcased beautifully during open houses and showings! Alla and Dale know the market and have fantastic instincts when it comes to setting price and then negotiating. Alla also has a background in marketing and business and she certainly leverages those skills to a successful transaction. I am confident that the price she got me for my place was at least 5-10% more than others would have been able to achieve. To top it all off, Alla is just a great person all around. She is extremely warm, friendly and fun to be with. This is important since of course the daily conversations and decisions are sometimes emotional and stressful – and its easier to work through those decisions with someone you like and trust personally. We have known Alla and Dale for years – they represented our interests throughout both purchase and sale processes in San Francisco and Marin. They aggressively negotiated on our behalf during the purchase process, while overcoming unforeseen challenges that came up during the escrow (issues with your initial lender that was not able to perform). As a result of their negotiation skills, strategic thinking, and relationships with the other agent and local lenders, we were able to close on our dream home! Ultimately, their expertise, communication skills & relationships allowed for a smooth transaction despite the challenges. We also worked with them on the sale of our home and both of them assisted with professional property preparation (they knew all the vendors and stagers necessary to most effectively show our home), beautiful marketing materials including gorgeous website and managing all aspects of transaction. Both me and my husband have recommended this dynamic team to all our clients and friends! We worked with Dale on the purchase of our first SFH in the Richmond and had an excellent experience from the beginning to the end – and home buying in San Francisco comes with a lot of challenges. We chose to work with Dale after meeting him at an open house in Glen Park. We bombarded him with tons of questions there that he replied to with patience, good humor, intelligence and fierce expertise. After that meeting, we decided that we liked him as a person as much as we felt he was someone who could represent our interests with great skill. Some of the things that my husband and I think are great about Dale: he is always available for you and your concerns, he’s a very strong negotiator, especially when things get difficult or tricky (thanks to his background as a lawyer!). He has a backbone and doesn’t let the other side take advantage of you. He’s a diplomat and does what it takes to make the deal come together. He communicates regularly with positivity and enthusiasm. He protects your interests and offers excellent advice about the process and the people involved – ultimately to get you to the deal you want. We always felt Dale was on our side and always moving to get us to our goal. What a great guy! – We met Alla too who is also very smart and warm. She offered us fantastic advice on remodeling choices. Dale and Alla sold my Lower Pacific Heights condo for over my asking price with multiple offers. After that, they helped my husband and I purchase a 2-unit property in Glen Park for under the asking price. I couldn’t have had a better selling or buying experience and I attribute that to Dale and Alla helping me through every step of the process. They’re very knowledgeable and well-networked. I highly recommend them and refer them to all my friends. Love them! Dale helped us with the purchase of our first home in January and we were extremely pleased with his work. We had been looking for quite some time during a very difficult market, and Dale stuck with us throughout and was very patient – he would give us frank opinions when houses were extremely overpriced or not good value, which I particularly appreciated and don’t think all agents would do. He was also very patient in leading us through our first bidding and contract process – answered all our questions and explained everything carefully. His legal background is also a plus when it comes to negotiating and contracts. Lastly, he was helpful once the transaction closed in making referrals on contractors and other vendors. Highly recommend. When we met Dale, we didn’t just meet an expert with deep knowledge of the real estate world in the Bay Area, we actually made a friend who we hope to have in our lives for a long time. We’re experienced real estate buyers and had bought a few properties on the east coast over the years. So we came in well-informed and we were excited that Dale could augment that knowledge and help us navigate the complexities of buying properties in the Bay Area. We bought two in the last 6 months of which one was a private sale. Though the first property was not business for Dale, he spent many hours with us helping us evaluate the property and its merits as an investment. He also spent hours with us walking through that property and what valuable changes could be made to it to add value to it. He also ended up advising us to keep it as an investment property which we ended up doing. This was all advice that a friend would give! Later, Dale helped us purchase our new home and that process was painless. Dale not only helps the process but gives expert advice around how many offers he thinks the property will get and where he thinks the sale price and terms will net out helping us shape a competitive offer. Dale is very patient, not pushy, and has a great way of offering advice that’s not overbearing and always adds value. After we bought our house, he put us in touch with all kinds of service professionals who could help us with adjustments we want to make to the house. We’ve loved working with Dale. It was very pleasant and we looked forward to all of our meetings with him. We’re excited about many more years of working together. Dale has been a great realtor for us, I would recommend him to anyone and I’d use him again in an instant. He knows both San Francisco and his industry in and out, seems to truly love his job, and is a nice, honest guy who is great to work with. We’ve worked with him on our last 2 purchases, a condo in SOMA in 2008 where he helped us get a great deal and a house in West Portal just this year (2014). Throughout both purchases, Dale was there every step of the way and answered all of our questions, no matter how many or how ridiculous. For the recent house purchase, his guidance was particularly invaluable. Since the market is so crazy, we had to bid on a lot of places (even though we offered competitive bids, we’d consistently get beaten by all cash offers), and he refused to let us lose our heads (by steering us away from houses we would not be happy with in the long term) or hearts (by helping with the next prospect and being positive). Our perseverance paid off when he found us this charming place in west portal which was listed off market. We never would have found it online since it wasn’t publicly listed and as a result we didn’t have to bid against all the crazy all cash people. Thanks Dale! Oh, and even though the sale is over, he continues to answer our crazy questions about remodeling. I just worked with Alla Gershberg of Paragon Real Estate in October of 2013. After several months of looking I found a condo that I really had my heart set on. The deal would not have happened without her assistance. She was on top of every detail from start to finish. She worked diligently on my behalf and I must say I would use her again. I have bought and sold a number of properties both in California and Colorado and this particular purchase was the easiest by far and we closed on time. Given that I had to be out of my rent back one week after the closing date I was very pleased that there were no snags or delays. I know that I speak equally for both of us in expressing again our profound gratitude for the job that the three of you have done on our behalf. Truly, I am floored. Given the condition of the house, I would have felt lucky to surpass the million dollar point. But your professionalism, sense of strategy, experience, responsiveness, sales ability, courtesy and thoughtful kindness delivered a greater return than I would ever have imagined. What you have accomplished for us will greatly turn the tide for us for the years ahead. We couldn’t have been more pleased to have worked with Paragon Realty’s Alla Gershberg. Alla presented a well researched marketing plan and faithfully executed her marketing strategy for the successful sale of our San Francisco condo. She was sensitive to our requests for cost containment and the time frame surrounding the sale. She chose appropriate vendors for staging and pre-sale maintenance. Alla kept us well informed during the entire process. She was accessible, engaged and extremely detail and results oriented. Based on our experience, we have no hesitation in recommending Alla to professionally manage the sale or purchase of your next home. We were lucky enough to work with Dale while purchasing our first San Francisco home this spring. He and his team made the experience not only painless but pleasant, especially given how daunting the current market is for buyers, both in terms of price and availability. Dale came highly recommended by a colleague of ours at the start of our process, and from our first meeting onward we felt more confident with his assistance. Dale’s depth of knowledge about SF real estate was invaluable in navigating listings; he pointed out subtleties of architecture and construction that would have been invisible to us, and suggested or nixed properties that we otherwise would have overlooked or wasted time on. Dale distilled our (perhaps inelegantly expressed) preferences into a precise filter, and every listing that he suggested that we’d like was appealing. It’s impossible to overstate the speed & efficiency with which Dale works. After an initial consultation in mid-January, we started viewing open houses in early February. The expected post-Super Bowl bump in inventory didn’t materialize immediately this year, but even so Dale found us a condo that we love and we closed by the middle of March. Dale and his team were constantly available throughout the process, answering all our questions promptly and helping to corral all of the lending, escrow, &c. representatives through what we believe is a record-speed closing. We loved working with Dale and would happily recommend him to anyone looking to purchase a home in San Francisco. One of my wife’s friends spoke so highly of Dale, that is was a no brainer to hire him to help us find our first home in San Francisco. We are so grateful that we did. 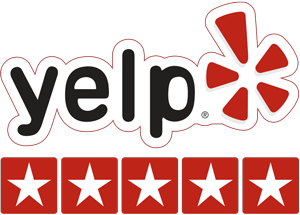 Dale is a pleasure to work with — easy going, responsive, knowledgeable and honest. We felt that he had our best interests in mind and never felt pressured. Dale ended up finding us the perfect home in Bernal Heights and we will be working with him again when we move to a larger home. My mother and I worked with Alla selling her longtime home on Fulton Street. She was very patient and professional with my mother’s many questions and worries. She was always easy to reach by phone and email. The home was beautifully staged. When the home received many offers over asking, my mother was delighted. I appreciate that Alla really represented us well and was comfortable countering these many offers with an even higher counter offer! The home sold for $150,000 over asking price and the close was quick and smooth. I would highly recommend her and we would use their services again. We have worked with Alla and the team twice now and had very successful stories on both buying and selling our homes in San Francisco. As first time home buyers, Alla helped us prioritize our ideas and things-to-have and took us around to so many places until we found the one we loved. Her experience on the market and comp prices was extremely useful on closing the deal as well as on purchasing the next home. Love her energy and passion for the business. Alla and Dale are a true dynamic duo – incredibly professional, knowledgeable and nothing short of a pleasure to work with. In this outrageously competitive market, I would trust no other agent to get the job done with the level of professionalism, honest counsel, and integrity. They are people of their word, and incredibly supportive — even long after the transaction has been completed. We purchased our first home in SF with them over 10 years ago — and yet, they still provide an eager ear whenever I have questions about the market and return my calls and email promptly, as if I was a current buyer. They are aggressive without compromising their values, and know the market inside and out. Moreover, their backgrounds in law and finance are incredibly helpful, especially when it came to figuring out the details during complex transactions. Cannot recommend them more highly –and will continue to sing their praises from the highest mountain tops to whomever will listen! I have for the past ten years and will continue to do so! You’re in great hands with these two! Dale & Alla are warm people, will care for your family’s best interests, and will give you straight-talking advice you can depend on. Dale & Alla have represented my family as both buyer and seller. I refer everyone I know who is either in the market or considering home ownership to talk to Dale & Alla. And when the time comes for my family to buy or sell again, Dale & Alla will be the first people I call. They are trustworthy, dependable, and empathetic – you will not be disappointed when you work with Dale & Alla. Several years ago my husband and I had Alla and Dale sell our house and purchase our current. They were wonderful people to work with. I have referred them to my family members and friends and they were all very happy with the results. They have a lot of knowledge and experience and are the nicest people to work with! Working with Alla & Dale made what could have been a complicated transaction so much easier. Having caring, knowledgeable professionals handling what arguably could have been the most nerve-wracking experience of my adult life was key to avoiding a nervous breakdown, and for that, I will be forever grateful. They know San Francisco, they understand the market, and they’re really, really intelligent. Super awesome people to work with – do not hesitate to give them a call. Seriously. Best ever. If you are selling or buying in San Francisco, you will be in great hands. Both Alla and Dale are knowledgable, highly professional, very pleasant, and altogether terrific. Best bar none. What can I say about Dale? First, a little background…my wife and I were first time home buyers in SF…and although we had heard about how tough and competitive it is in SF to purchase, I 100% believe that my wife and I wouldn’t have been able to find anything if not for the expertise and thorough knowledge Dale possessed of the area. Dale came to us as a recommendation from a friend, and we are very happy to have went with him. If that wasn’t enough, Dale’s offer strategy actually got my my wife and I the first house we put in an offer for….which I’m sure is no easy feat (with houses in SF receiving 20+ offers at a time). Dale and his team were always on the ball, patient, and quick to communicate. They definitely made, what could have been a stressful and complicated process much much easier and even pleasant. 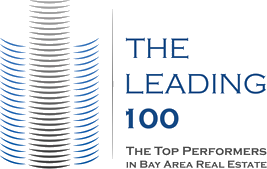 If you’re looking for a real estate agent in S.F., don’t hesitate to call. Dale and his team are amazing to work with. Right from the start it was apparent that Dale takes the time to understand the goals of his clients and establish a level of comfort that he is going to guide everything and deliver. We came out of the initial discussion with a clear understanding of how Dale would approach selling our property, and once we gave the ok, from there Dale guided the process exactly as he described so it was effortless for us. Within a few weeks Dale and his team had the property prepped, listed, toured and sold and they made the whole transaction cycle smooth. Throughout it all his team was very communicative and proactive, ensuring all our questions were answered thoroughly. If you are looking for someone who will look out for your best interest and deliver optimal results, then search no further – work with Dale and you will be happy you did. We were very fortunate to get to work with Dale on our house hunt here in San Francisco. With prices soaring and bidding wars on every property, it amazes me that I am typing this review in our beautiful new home after only a couple months of looking at houses and only two other bids (and, no, we were not buying in cash.) Dale is sharp as a whip and really knows the market and this city. He is honest, kind, and it was clear he would never steer a buyer into something that wasn’t right for them. He talked frankly with us about the pros and cons of each house we saw and really helped us figure out what we were looking for and what our family needed. Dale has a law degree which we felt added expertise as we got into our loan, the disclosure packets, the contract, etc. The paperwork and escrow process was a breeze with Dale at the helm and we felt taken care of and protected all the way. It should also be said that Dale’s assistant Adrienne was wonderfully helpful, knowledgeable, and smart. We can’t recommend Dale and his team more highly and wouldn’t use anyone else in the future.